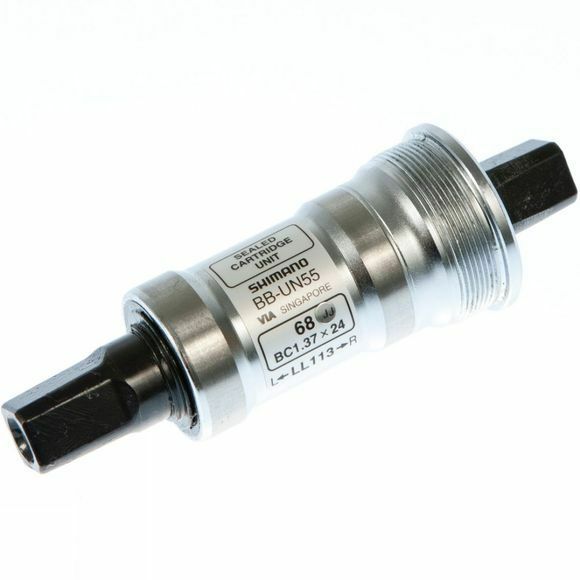 A good quality Shimano bottom bracket for traditional chainsets. With super-accurate bearings it offers a smooth operation and improved durability. A maintenance-free sealed cartridge bearing assembly keeps out dirt, mud and water for a long life. It is super easy to install and a narrow body allows clearance for cable routing under the bottom bracket.